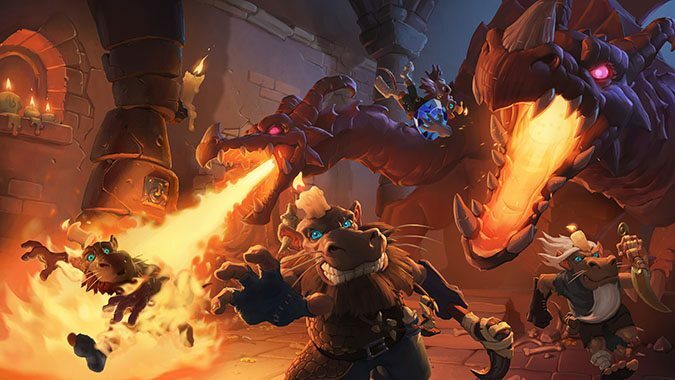 Hearthstone uses the Warcraft setting as a staging ground for exploration, and one of the best things about it is how it’s unafraid to take huge leaps from that setting and introduce new ideas and new characters. The entire Tortollan race that’s been so prevalent in Battle for Azeroth made their debut in Heartstone, for example, and I think it’s a really positive trend that they’ve been introduced to World of Warcraft. In fact, I don’t think it should stop there. There are other people, places and things from the long-running card game that I think should make the leap to the main franchise. The Gilneas-themed The Witchwood takes the Gilneas forests and amps up the scary, spooky atmosphere. 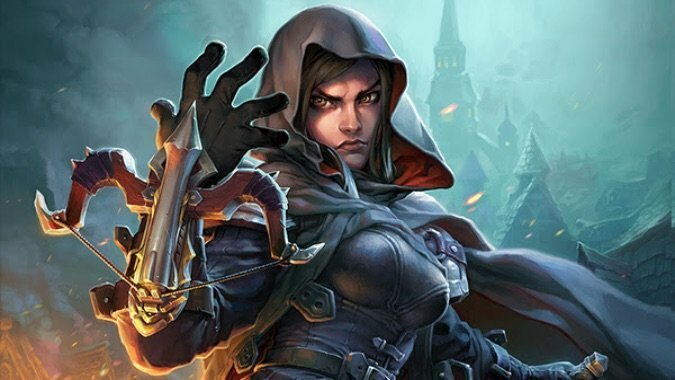 At present, there’s really nothing in Gilneas and no reason to go back outside of a single PVP battleground, or if you’re trying to collect a pair of Cataclysm era legendary daggers for a Rogue alt. But bringing the Witchwood with its malevolent Hagatha into WoW would give us a reason to go back to the former Blackwald and see a whole new zone — essentially, a way to update Gilneas and let players experience the place without having to roll a starting Worgen. And I just like the idea of a spooky haunted forest full of monsters that needs us to go explore and stop it. It’s old school and blessedly free of ties to any larger, overarching world-threatening menace, which means it could be dropped at any time. Plus, it would be an excuse for more Tess Greymane and Lorna Crowley and I’m down for that, let me tell you. Look, let’s face it — Night Elves have been having a rough time of it lately. It’s not exactly been fun to play one, with all the burning down of their starting zones and summoning of Night Warriors and plunging their ancestral lands into endless night that’s been going on, and while it’s all great to see a focus on them I sometimes feel like we could use a prominent Night Elf who isn’t caught up in all that. And that’s where Elise Starseeker comes in — a cool character whose focus isn’t on war or destruction but on exploration and discovery. 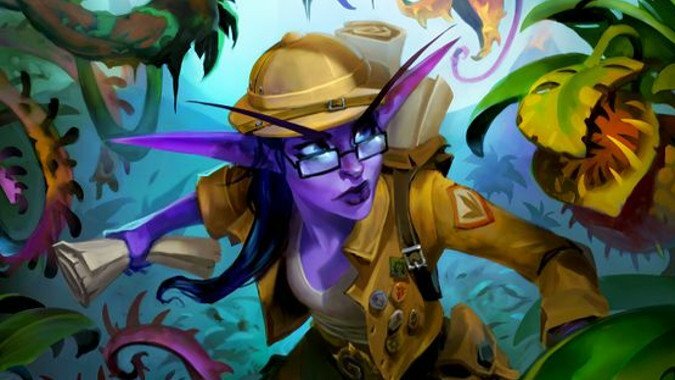 In Hearthstone Elise is a member of the League of Explorers who helps mount expeditions and is known as a trailblazer and cartographer, and she’s credited as the mastermind behind numerous League expeditions. In other words, she’s someone else to talk to when we’re about to go into an ancient unexplored tomb or ruin who isn’t Brann Bronzebeard, which is all to the good as far as I’m concerned. I don’t hate Brann, but frankly Harrison Jones was a Indiana Jones joke that’s outlasted its welcome as far as I’m concerned, and I’m down for a cool Night Elf to step into that role. 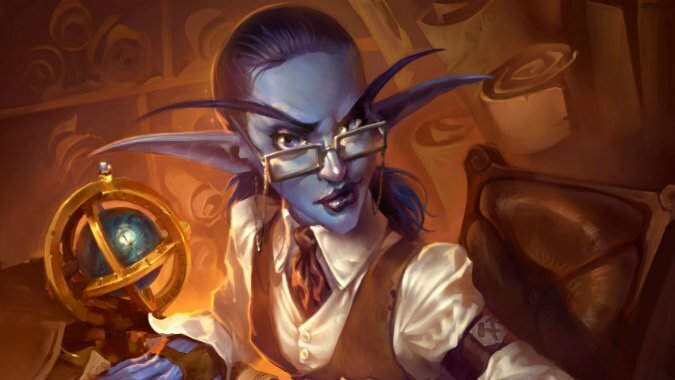 Heck, the entire League of Explorers from Hearthstone would be cool additions, but especially Elise, with her distinctive look (I have never seen a Night Elf with glasses before now, and it’s become something I’d love to see more of) and her role as the mastermind behind the League of Explorers successes. I definitely wish she’d make the jump to WoW. Look, I know we’re all leery of zone revamps, but hear me out — Tanaris is awful, and I’d be totally behind just taking everything about Mean Streets of Gadgetzan and importing it wholesale. 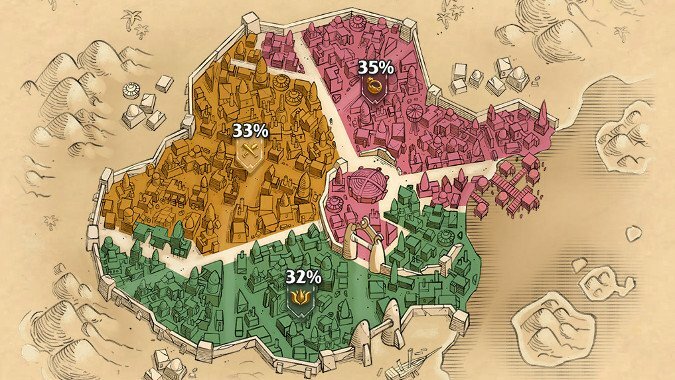 Expand the city to take up three times as much space as it does now, transform it into a brawling port city right on the edge of the Great Sea and bring in those squabbling crime families — the Kabal, the Grimy Goons and the Jade Lotus — for players to interact with. Maybe use it like an up to date Halfhill — you can choose which crime family you want to support and get daily quests to wear down the other two while currying favor with the gang leaders in a grim, noir inspired city just dripping with a unique atmosphere unlike anything in current day WoW. Much like I’d like to see the Witchwood in WoW to give us an excuse to go back to Gilneas, I’d like to see this updated take on Gadgetzan to give us a real, honest to Azeroth Goblin city, the kind of place we keep seeing teases of but never really get to explore and play in. Having crazy Goblin Vegas in WoW would be a huge get for the game — the kind of town pirates and smugglers would love, a real wretched hive of scum and villainy for everyone to enjoy. Imagine the fun of playing as a Goblin in this, the most chaotic of Goblin cities imaginable. Look, Kobolds have been joke enemies in World of Warcraft forever, and I don’t want them to lose any of their weird, candle hoarding charm. But I’ve written before about Kobolds and how there’s more going on with these weirdos than meets the eye, and I think what they need to help us explore the lore of these subterranean menaces is a figure like King Togwaggle. A thinker — not really on the same caliber as, say, any of the usual suspects in WoW but for a Kobold he does really well — who could serve as the main villain behind a raid or dungeon, or even just as color for players making a tentative alliance with him to help the fight against a more significant underground menace. Togwaggle’s a greedy, gluttonous and self-motivated Kobold who does everything to keep his own subjects in line, and such a selfish character is capable of making and breaking any sort of deal or alliance. He’d be perfect for WoW. And he wears a lantern on his head instead of a candle so you can’t even take his candle. Okay, that’s probably enough for now. But there’s more — so many more characters and settings from Hearthstone can and should make their way to World of Warcraft proper. The Tortollans did it, and think about where we’d be now without them.